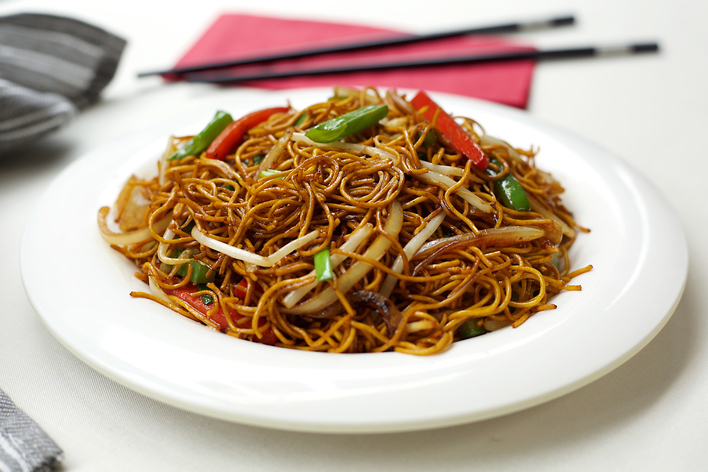 It doesn't matter if your favourite Chinese dish is fiery Sichuan noodles. Or if it's classic Beijing duck. Or if you don't even have a favourite Chinese dish. London's Chinese food scene is a diverse beast, so it's never been easier to find Chinese food you'll love in the capital. From delicious dim sum to sizzling hot pots and under-the-radar hotspots, we've rounded up the best Chinese food in London you can get delivered. And with Chinese New Year right around the corner, you need to be ordering one of these Chinese restaurants for your office as soon as possible, with City Pantry. 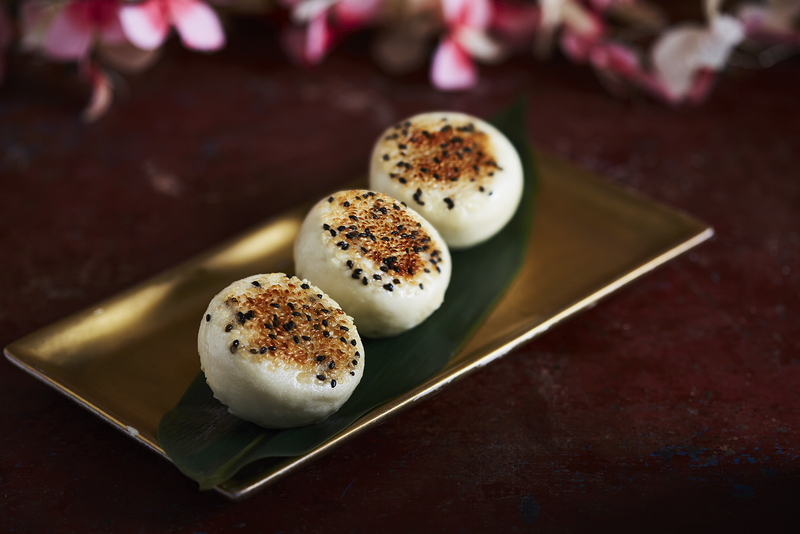 With four locations and a reputation for serving up some of the most authentic dumplings, buns and baos across the city, Ping Pong is a name that should already be on your 'best Chinese restaurants in London' list. But especially this Chinese New Year. That's because Ping Pong are giving you and your colleagues the chance to taste a special selection of handcrafted dumplings and innovative dishes all with subtle influences from the Year of the Pig. The chorizo fire cracker roll and saffron 'money bag' are all delicious but it's the ginger pig buns (pictured) you really need in your office. Perfect pastry filled with succulent pork - Chinese food doesn't get much better than this. Let's face it: sometimes London's Chinese food scene can be a nightmare to navigate. 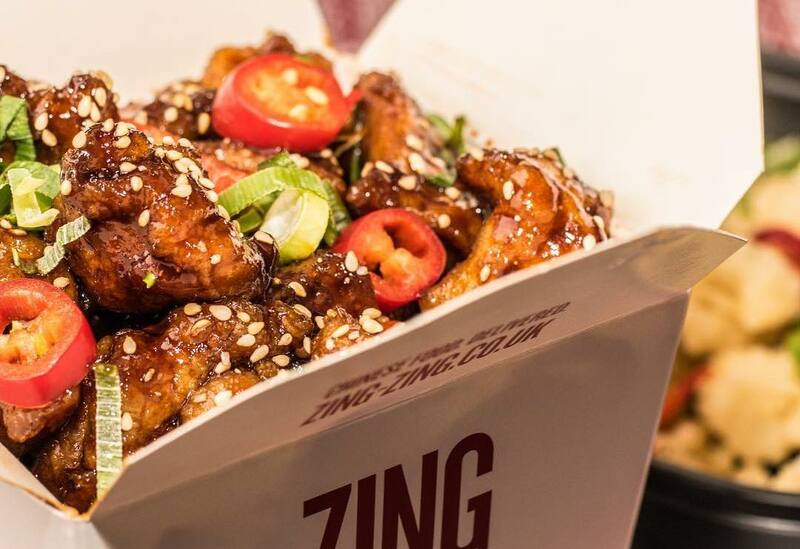 So stay safe in your travels with a trip to Zing Zing, a Chinese takeaway and restaurant all-in-one that aims to eliminate everything that's bad about Chinese takeaways. The MSG. The lack of fresh ingredients. The padding of meat dishes with vegetables and sauce. Instead, every dish served at Zing Zing is fresh, chemical free and sealed the instant it's cooked, so you'll never receive cold Chinese food at the office. And the bonus? The rice and noodles come in New York-style upright cardboard containers - perfect for eating with chopsticks straight out of the box. 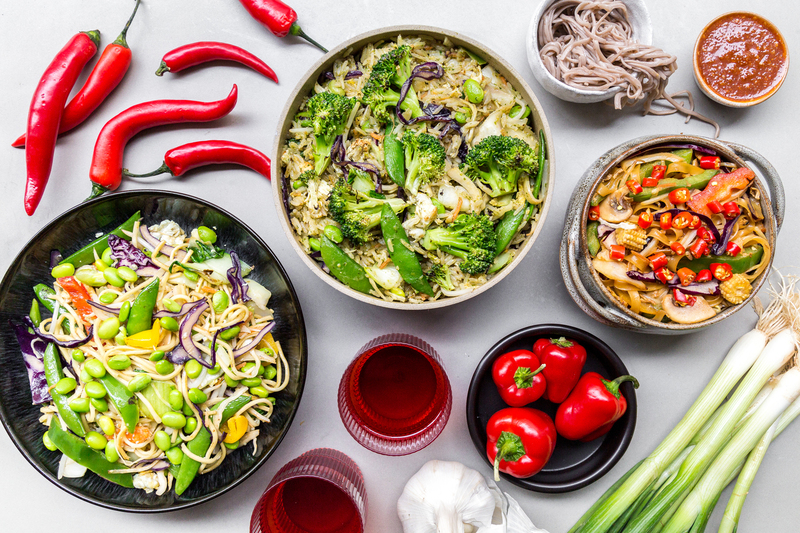 Marrying fresh market produce with quality noodles and homemade Asian-fusion sauces, Wokit deliver a healthy take on fast food noodles and you need to try them. Choose your base from a range of rice and noodles, match it with a host of vegetables that come straight from Borough Market, then decide whether you're in a meat or fish mood. Finish it off with an Asian-inspired sauce, then tuck in. Wokit uses influences from all over Asia for their noodles, so they're not always in the Chinese style, but you can bet your bottom dollar you're in for some flavours. The best part? You can get their delicious dishes delivered right to your office with City Pantry. Sichuan food, a style of Chinese cuisine originating from the Sichuan Province, is all about the boldest flavours. Garlic. Chilli. Sichuan pepper. All of these ingredients are used liberally in Sichuan cooking to create dishes that pack a real punch. And the best place for proper Sichuan food in London? Look no further than Sichuan Folk. Connoisseurs in creating lip-tingling rice and noodle dishes, Brick Lane's Sichuan Folk is a spice-lover's dream you need to bring into your office. Just be sure to try the legendary Sichuan fried pork - one of our favourites. 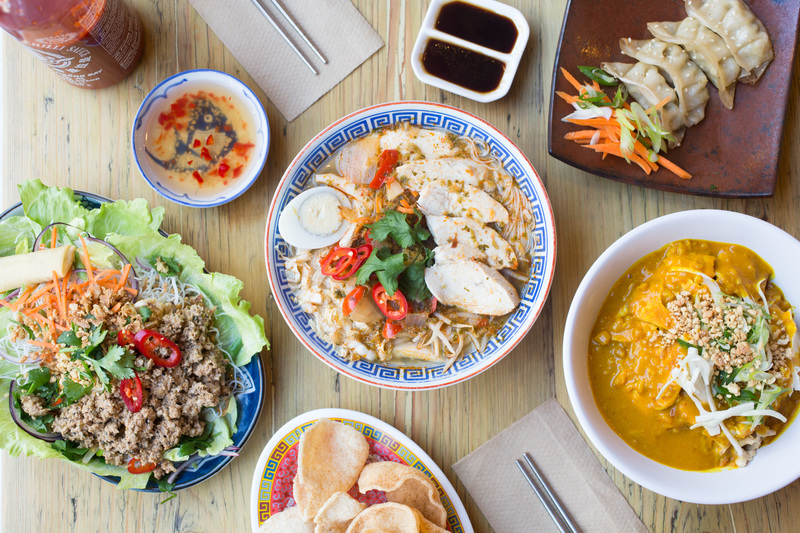 Aiming to be a revolution in quick, wok-fried Asian food, Neds Noodle Bar specialises in, you guessed it, noodles. Egg noodles. Udon noodles. Black bean noodles. Singapore noodles. Even rice noodles. 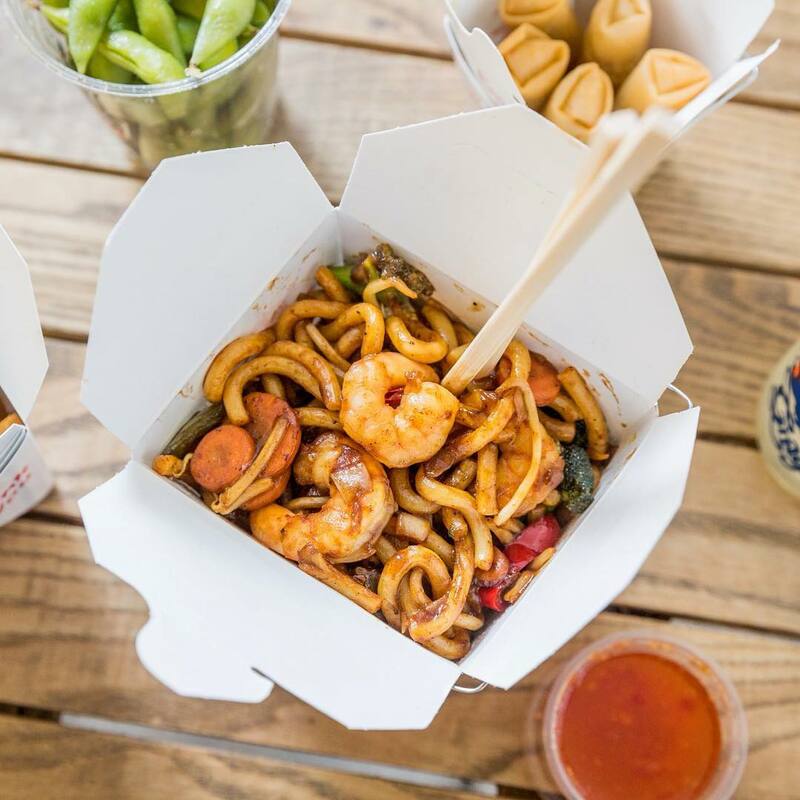 You name it - whatever type of noodles you're after - Neds Noodle Bar cook it fresh and we deliver it to your office in no time at all. And if you want to try some of the best noodles these guys have to offer? You just have to make their Chicken & Thick Udon noodles, served with sweet soy sauce and pickled ginger, your first order with Neds Noodle Bar. It won't be your last. The philosophy at Momo Canteen is simple: authentic Asian flavours without any compromise. And since 2010 that's exactly what they've delivered. As well as China, their influences stretch to Korea, Vietnam and Thailand, serving some of the best street-food delights this side of South-East Asia. But if you want to know which Chinese-inspired dish to go for? It has to be their Sichuan pork and aubergine stir fry spring roll. It's a mouthful in the most delicious way. Desperate to bring some of this Chinese food into your office? Our platform makes ordering great Chinese food as easy as eating it. And you'll never pay more than us, even if you go direct. Interested? Take a look at the best Chinese restaurants in your area - and start the office food revolution with us.